Free Ferry Day to Boston Harbor Islands! On Tuesday, June 24, 2014 the Ferry to Boston Harbor Islands will be FREE for Free Ferry Day! Keep in mind tickets are first-come, first-serve and this is a popular event so make sure to claim your ticket early. 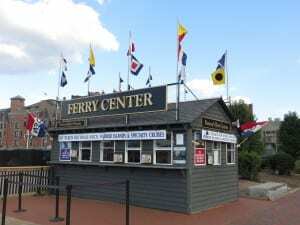 Ferries run from 9-5pm but tickets are available starting at 8am at Long Wharf. For more information about Boston Harbor Islands Free Ferry Day, please head here. Have you been to Free Ferry Day before on the Boston Harbor Islands? If you can’t make Free Ferry Day, don’t worry you will have one more chance this summer with Free Fun Fridays on Friday, August 8, 2014! Also, don’t forget you can get Buy 1, Get 1 Free for weekday tickets with your Boston Public Library card with advanced reservations! To see all discount attractions in Boston, please make sure to check out the Boston Discount Attractions page!